AHMM readers will be familiar with Jane K. Cleland‘s Josie Prescott Antiques Mysteries, both at novel and short-story length. Jane also writes about business communications, and her book Mastering Suspense, Structure, and Plot won the 2017 Agatha Award for Best Nonfiction. Here she talks about suspenseful storytelling in a darker vein and her tale “Night Flight to Bali” from the September/October 2017 issue. “Night Flight to Bali” is unlike anything I’ve written before. My long-running Josie Prescott Antiques Mystery series falls firmly into the traditional mystery genre. Cozies are firmly within my bailiwick, yet I want to write darker. Darkness in storytelling derives from longing. Who longs for what and what are they willing to do to get it? It’s all about a deeply felt yearning that can’t be denied: This is true about all crime fiction, of course, but in dark and twisty crime fiction, the longing is closer to the surface. “Night Flight to Bali” tells the story of Sabrina and Sam, a couple in love, a couple determined to be free. Sabrina will do anything to marry her soulmate, Sam. Sam will do anything to get rich. Sabrina longs for love, to belong to a man; Sam longs for independence, for the freedom that only money can buy. Since Sam doesn’t want anything Sabrina has to offer except money, her efforts to satisfy her longing are doomed to fail. I set out to use a variety of TRDs, the more the better, weaving them in every few hundred words or so. By showcasing Sabrina and Sam’s longings, my goal was to create a story that, because it was so twisty, got readers thinking about the unexpected and essentially fluid nature of authenticity—in art and in love. 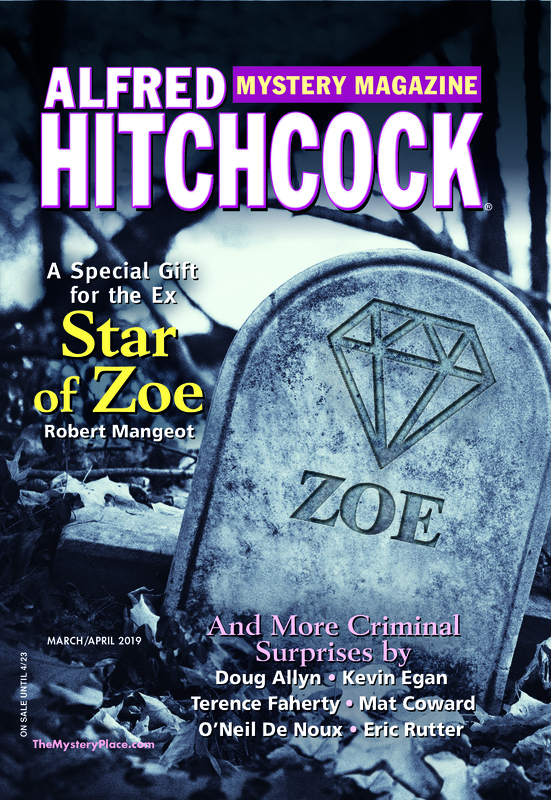 One of the stand-out moments of my career was when Linda Landrigan, editor-in-chief of Alfred Hitchcock Mystery Magazine, emailed me that she was going to publish “Night Flight to Bali,” She wrote: “Love it! So dark and twisty.” I shouted “Yes!” to my computer monitor, then did a happy dance around the room. I hope you enjoy the story, my first effort at writing raw.